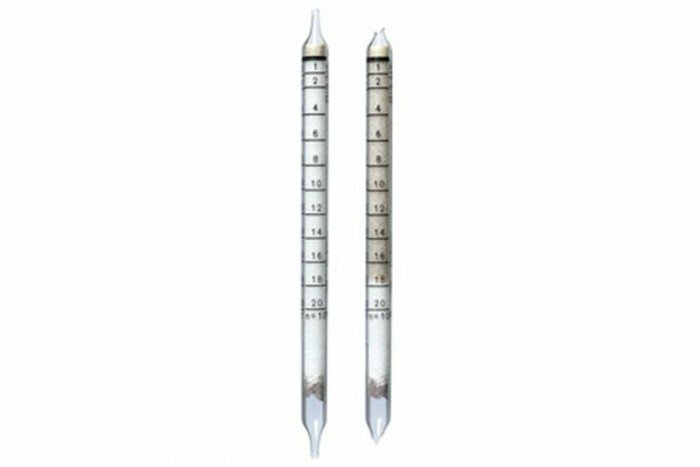 The Drager Short Term Detection Tubes are ideal for the measurement of many different gases. This particular pack of tubes is for Hydrogen Sulphide (1/c) and they have a measurement range of 1-200ppm. The tubes come in a pack of 10 tubes. You can purchase the Drager Accuro gas detection pump from Frontline Safety. This pump is required to operate the tubes - click here to buy. Should sulfur dioxide occur simultaneously in concentrations well above their TLV, this may result in plus errors of up to 50%. Sulfur dioxide alone is not indicated.